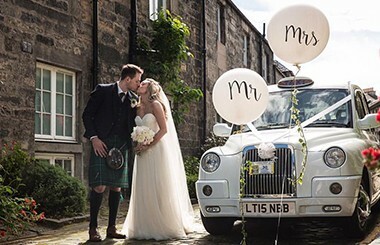 Central Taxis range of wedding taxis are the perfect choice for couples looking for a quirky, personalised choice for their big day. 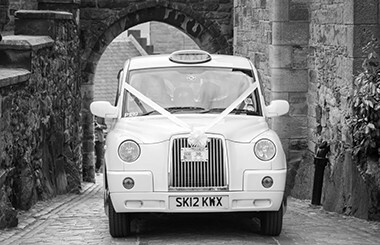 Choose from our selection of White, Silver or Black iconic hackney cabs. Please note the above pricing applies to the city boundary. Other areas will have a travelling charge added to these prices. Please contact us for a bespoke quote. * Pick up and drop off cost covers 1 hour from pick up time. * Waiting time during the ceremony is 1 hour maximum. 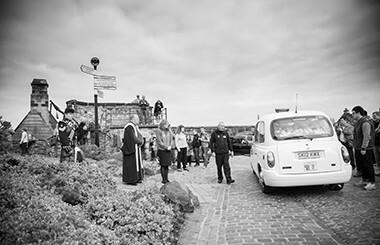 Please Note additional waiting time is charged at £17.50 per additional 30 minutes. Use the form below and we will get in contact as soon as we can. Here at Central Taxis we take your privacy seriously and will only use your personal information to administer your account and to provide the services you have requested from us.